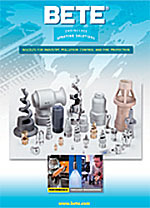 These catalogue has information on all of our stock items and include valuable engineering information. Product dimensions, spray angles patterns and flow rates are listed. Contain informati-on about hollow cone nozzles, full cone nozzles, tank washing, spray drying, spray nozzle design, spraying sy-stem design, steel nozzle manufacturing and atomizing spray nozzles. If you require any type of washing or rinsing, this manual will be ex-tremely helpful. Dimensions, cha-racteristic "throw" of spray and impact are included. 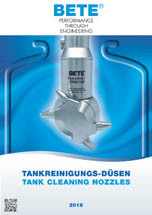 Stationary and rotating nozzles are available. Fields indicated with an asterisk (*) are required to complete this transaction.